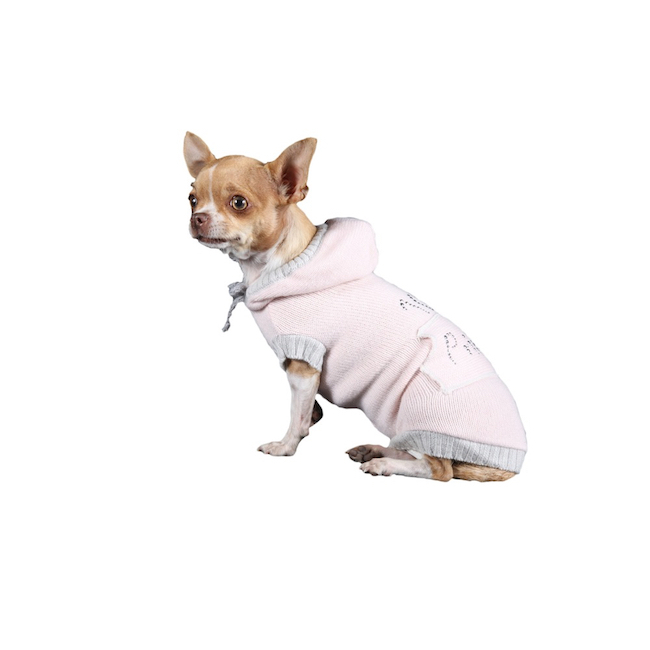 Beautiful soft pink hooded sweater trimmed with grey around the edges . Made in Italy of 8% Cashmere and 92% Merino wool. “100% Princess” done with Swarovski crystals on the back. fabulous for real Princes and Princesses.